The U.P.C. 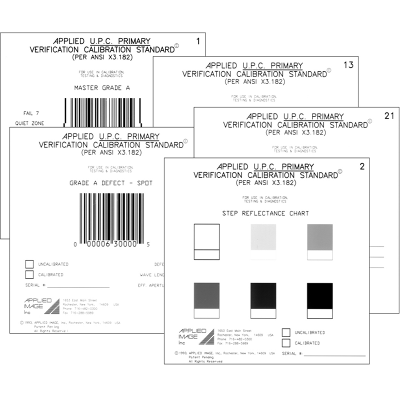 Verification Calibration Standard Set is a unique set of symbols that assures an exact and reliable primary bar code standard that exists for U.P.C. codes based on ANSI X3.182 methodology. The complete group of 32 Calibrated Bar Code Primary Standards assures that manufacturers and users of verification equipment, scanners and QC labs have an accurate basis for comparison reading performance of their equipment. 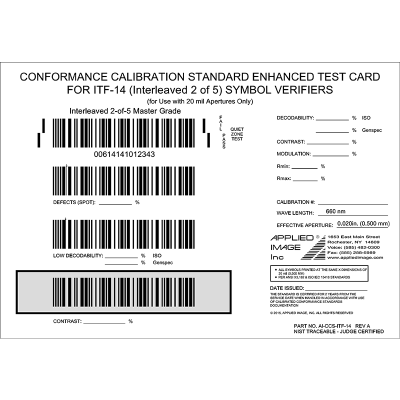 These standards are intended as a fundamental calibration set for any QC program, providing a continuous scale from “best” to “worse” case characteristics of each parameter. With complete NIST traceable data supplied, it is ideally suited to those requiring traceability, such as ISO certification. Each symbol is individually calibrated to ANSI X3.183/ISO 15416 standards using a custom built microdensitometer. 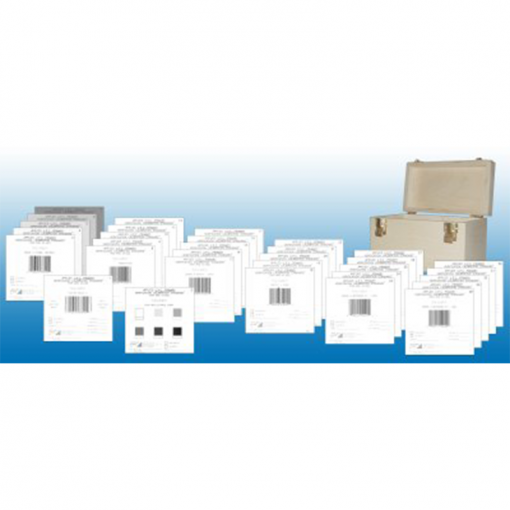 These cards are supplied calibrated for use with a 6 mil scan aperture and 660nm wavelength. (calibration with other aperture sizes or wavelengths are available). Each chart is laminated to an opaque backing, to prevent reflectance changes from placement on various surfaces.